From how concrete is mixed for road construction to plans to help homeowners manage increased flooding, Canada's building rules are being rewritten because of climate change, according to briefing notes for a senior government official seen by CBC News. From how concrete is mixed for road construction to roofing standards enabling buildings to withstand stronger storms and plans to help homeowners manage increased flooding, Canada's building rules are being rewritten because of climate change, according to briefing notes for a senior government official seen by CBC News. 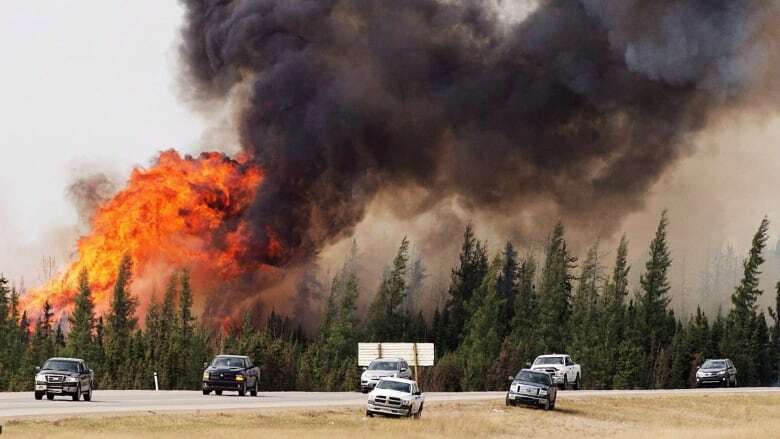 If no changes are made to the way we build, infrastructure failures linked to climate change could cost Canada $300 billion over the next decade, according to estimates cited in the partially redacted documents. With Canada warming twice as fast as the rest of the world, according to an official report released this month, analysts say it's crucial to design infrastructure that protects residents from extreme weather while reducing carbon dioxide emissions. Some of the new rules for construction in the era of climate change are nearly ready while others remain in the planning stages, according to a briefing note prepared for the deputy minister of infrastructure in 2018 and accessed by CBC News under freedom of information laws. "The development of building and infrastructure codes and guidelines in this country is a somewhat ponderous process," the high-level briefing states. "More problematically, the code development process has also been very slow to address the very significant challenges posed by climate change for Canada's buildings and core public infrastructure." The briefing said the new code will be the "first substantive" introduction of climate change considerations for buildings and crucial infrastructure in Canada. New guidelines for certifying the resiliency of roofs to extreme weather events, planned for 2020. New specifications to optimize concrete mixes for pavement to mitigate flooding, expected to be ready for 2021 following field trials underway now. New structural design rules for buildings to take into account the changing climate should be ready for adoption by the 2025 building code. New standards for basement flood protection, which came into effect after the briefing was prepared. Guidelines for climate resilience for existing storm water systems will be developed for 2021. In an email to CBC News, a spokesperson for Infrastructure Canada stressed that provincial and territorial governments will have the final say over whether aspects of the National Building Code are applied in their jurisdictions. 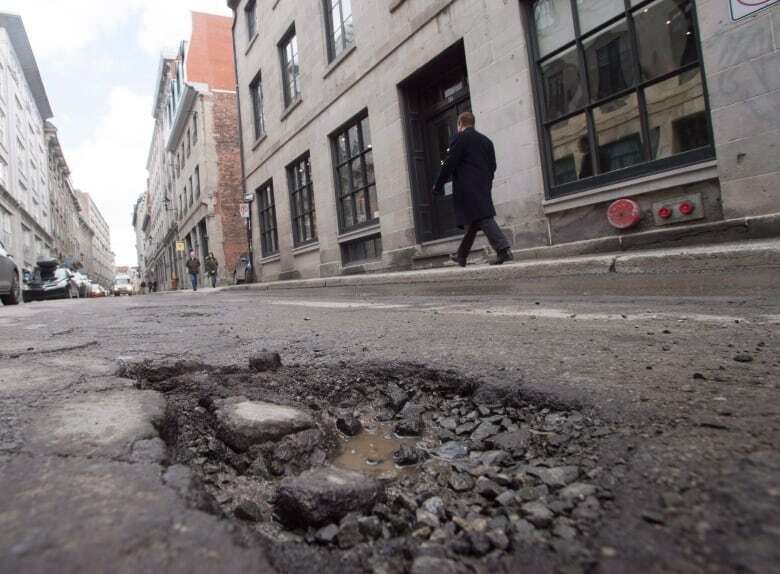 Representatives of the construction industry who reviewed the proposals for CBC News welcomed the plans to fight climate change, provided they don't lead to increased bureaucracy or inflated costs. "We want to ensure these changes aren't just increasing red tape and impeding progress," said Arlene Dunn, director of Canada's Building Trades Unions representing 500,000 construction workers. "Otherwise, we run the risk of continuous rework, escalated costs and delayed projects." Climate change analysts and green building experts said the plans are a step in the right direction, but don't come soon enough. "I'm definitely excited about the direction it's going in ... [although] 2025 feels long," said Mona Lemoine, an architect with the firm Perkins+Will in Vancouver. "We are dealing with climate change because we haven't been building the right way." Canada's construction industry is worth $171 billion a year and employs more than 1.2 million people, the briefing notes said. It also consumes 40 per cent of the country's energy and 50 per cent of its primary resources. Getting the new building code right will require a balancing act. "To remain vital in the face of coming climate change challenges, the construction industry will need better, safer, energy-efficient and affordable construction materials and technology that can maintain or improve lifespan expectations for buildings and core infrastructure," the briefing note states. As an architect designing new green buildings, Lemoine deals with these challenges daily. "It requires a shift in how we look at costs; the capital costs of building more resiliently and efficiently may be higher," she said, citing more expensive windows and extra insulation. "But when you look at the operating costs, those triple-pane windows reduce the costs of operating ... and the need for additional heating and cooling infrastructure. "With more efficient buildings there is better quality," she said, as workers need to pay more attention to sealing gaps to prevent heat loss, which leads structures to last longer. Constructing a zero-emissions building costs on average eight per cent more up front than a traditional structure, said Mark Hutchinson from the Canadian Green Building Council, an Ottawa-based non-profit. But over a 25-year lifespan, those costs usually pay for themselves and then some in savings on heating, cooling and maintenance, he added. "You can make a business case for zero carbon buildings today." While architects and construction workers grapple with reducing emissions from large buildings, average Canadians will face other problems. 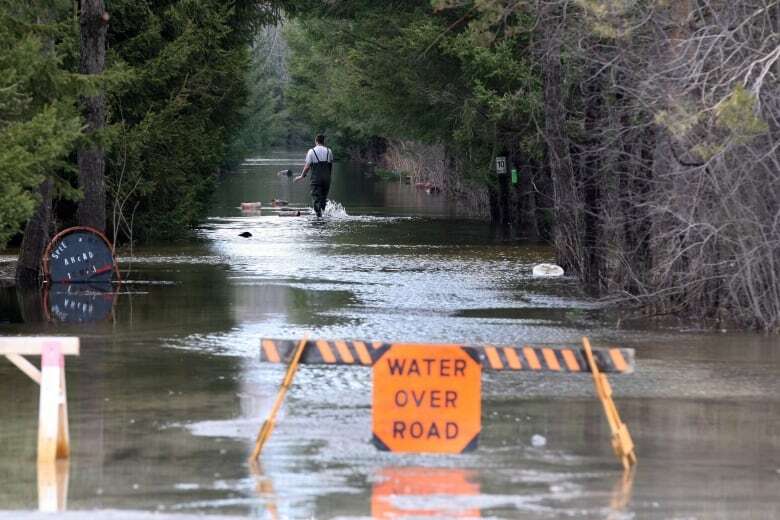 "Flooding is the biggest challenge" linked to climate change for most homeowners, said Natalia Moudrak, director of climate resilience at the University of Waterloo's Intact Centre. And there are measures homeowners can take now to safe address flooding. If a homeowner has a pump to get water out of a basement, "it's important to install a backup generator," she said. Widespread flooding often leads to power outages, leaving regular pumps useless when they're most needed. Homeowners can also take simple steps to elevate valuables, like expensive electronics, off their basement floor or put items in plastic or steel containers in case water does creep in, Moudrak said. To prevent sewage from flowing into your home during a flood, David Foster, a spokesperson for the Canadian Home Builders' Association, recommends installing a back flow preventer, a mechanical device linked to plumbing designed to only allow water to flow away from the home. 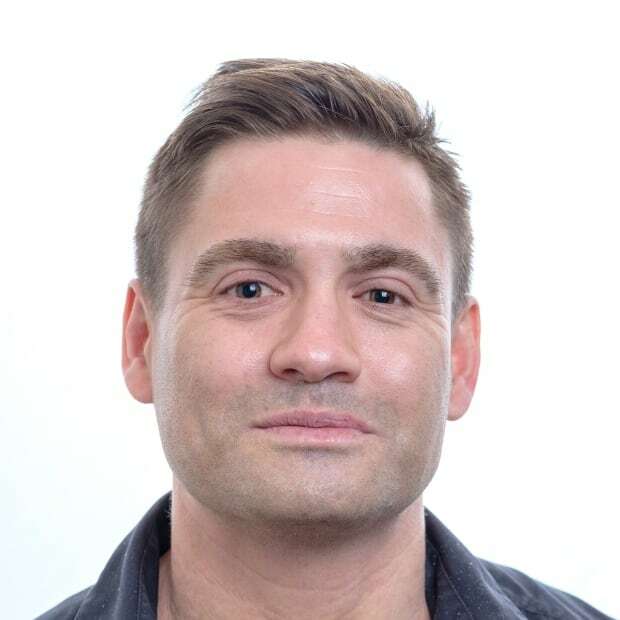 "There is not a lot of cost involved in that, it just involves changing the way things are done," said Foster, who has consulted with the government on the new code. When constructing a new home, installing a back flow preventer costs roughly $400, Moudrak said. When retrofitting an existing home, it usually costs about $3,000. But municipalities often offer subsidies to help offset that expense. The problem, she said, is most people don't know about them. 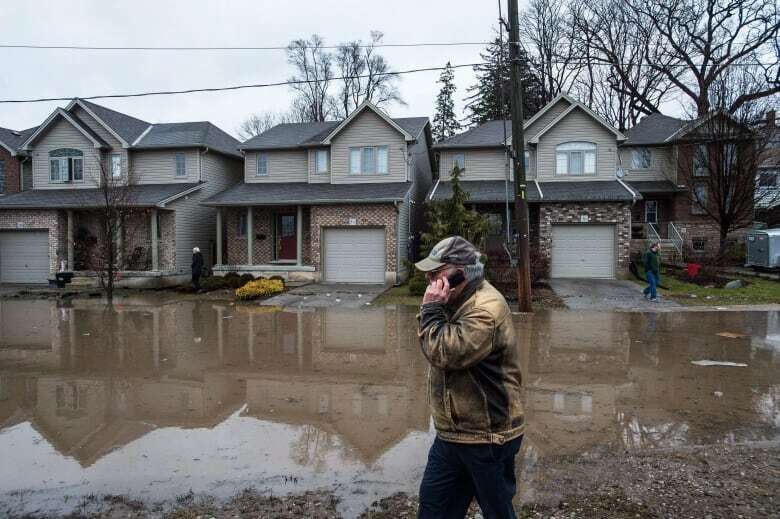 Only six per cent of Toronto homeowners took advantage of the city's flood resilience subsidy program, she said. When floods hit the city last year, she said the average cost to affected homeowners was $43,000. Foster said the construction industry will be ready for small changes in the code, ideas like mandating back flow preventers in new homes, making sure to build developments outside of flood plains or tweaking the fasteners used to attach shingles to roofs to protect against higher winds. The bigger problem, he said, is that no one has hard data on exactly how different regions will be impacted by climate change to enable contractors to plan and build accordingly. "We need scenarios," he said, acknowledging that is "a devilishly hard thing to figure out." 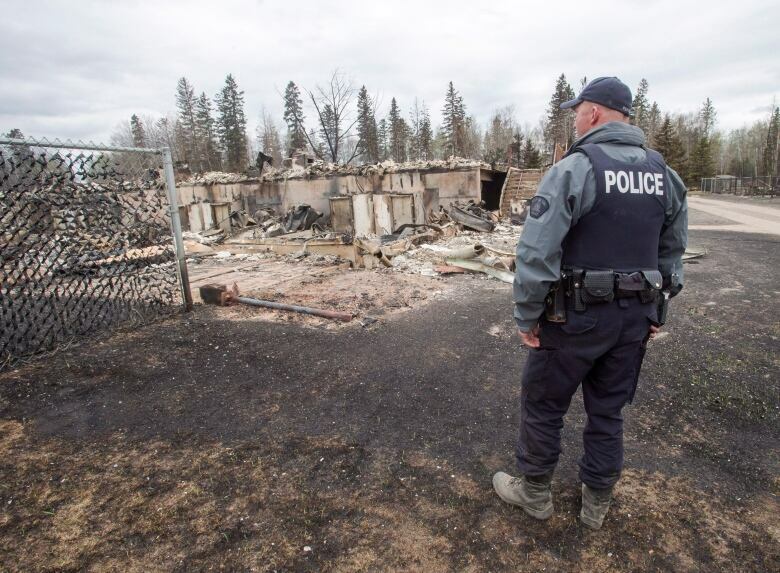 While safeguarding individual homes by changing building standards is important, he said the first priority has to be protecting critical infrastructure, which will come under increased strain as temperatures rise, wildfires flare and storms intensify. "If my basement floods, it's my problem. If my hospital shuts down, it's everyone's problem." Citing government documents from 2018, an earlier version of this story said new standards for basement flood protection should be finalized by the end of this year. Those standards have now been finalized.